The 40th Annual International Bar-B-Q Festival drew big crowds in Owensboro but many came out for the prized event and witnessed history. The 2nd Annual World Mutton Sandwich Eating Competition. 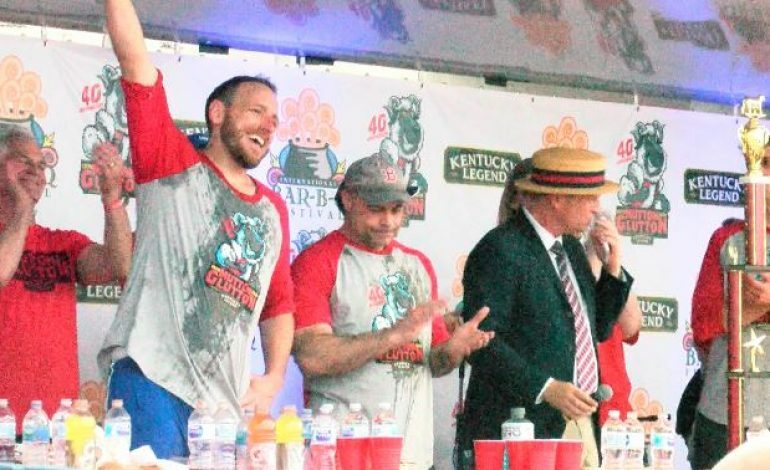 Reigning world champion Joey Chestnut returned and a handful of local and global eaters were attempting to dethrone him. Last year world eater Joey Chestnut ate a whopping 55 mutton sandwiches in 10 minutes. Don’t be fooled, these heavy eaters have the same calorie intake and you and I. Some fasting is involved beforehand, these eaters don’t come with a full stomach.